This dazzling 13 x 13 castle moonwalk glitters and sparkles in the sun. Your little princess will love it. 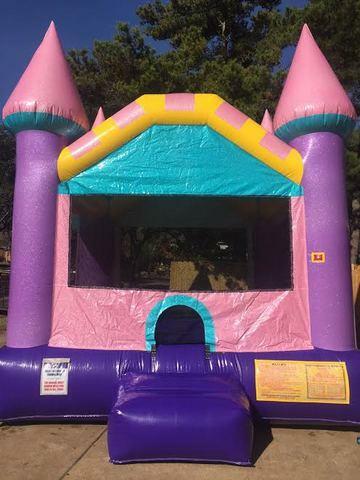 Your youngsters birthday party will be a success with this addition, and your little one won't soon forget the bouncing fun in the dazzling bounce house.